In this ENC In-Depth we asked an expert on Central Asian affairs, Dr. Edward Lemon, who recently completed his PhD at the University of Exeter and is currently a Postdoctoral Fellow at Columbia University’s Harriman Institute. Dr. Lemon’s vast field experience from Tajikistan helps the reader understand why radical ideas have become so popular in Central Asia, while outlining the impact that local civil society and the European Union is likely to have if they cooperate to tackle radicalization. Dr. Lemon wrote his thesis about Islamic extremism in Tajikistan. He focused on the ways in which the Tajik government pursues opponents living abroad. He has conducted extensive field research on religious freedom, migration, terrorism and political Islam in Tajikistan, Kyrgyzstan and Russia. The interview below focuses on the role of Central Asia as a recruiting source of foreign fighters for the Islamic State. 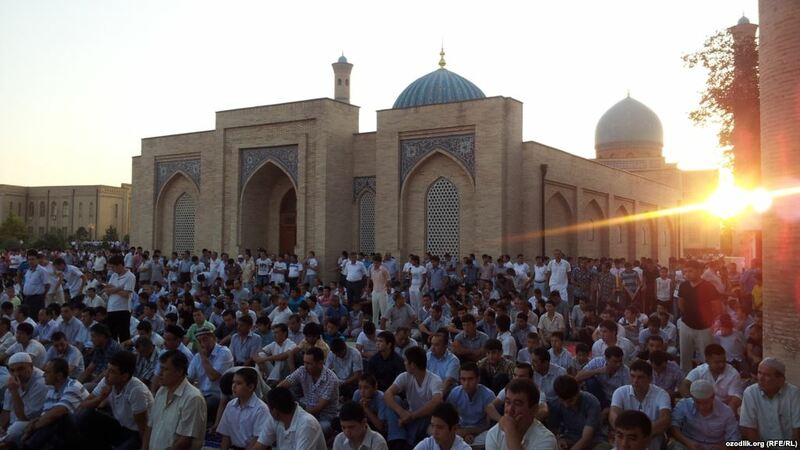 During the last few years we’ve heard a lot about Islamic radicalization in Central Asia. Numbers vary but all sources estimate that no less than 1,000 Central Asians are currently fighting for Daesh/ISIS. During the recent terrorist attacks in Istanbul the authorities identified 2 of the 3 suspects coming from Uzbekistan and Kyrgyzstan. Please find below in full length the interview with Dr. Lemon conducted by Andreas Marazis, ENC’s Head Researcher for Eastern Partnership and Central Asia. A.M.: Could you please describe why radical ideas have become so popular in Central Asia? Is it because governments in the region are restricting freedom of religion, claiming that by doing so they prevent the spread of radical ideas among their citizens and do you actually think that this practice is effective? E.L.: Thank you for having me. I think there are a variety of push and pull factors associated with radicalization in Central Asia. I think, the first thing to say is the numbers are relatively small when we think of the region of almost 70 million people. Maybe five to six thousand people have travelled from Central Asia to Syria and Iraq, primarily to fight with Islamic State. These numbers relative to the entire region’s population are small. Nonetheless, it is a problem and it is an important way that external observers understand the region. In terms of push factors, I think you rightly identified the authoritarian context of governance in Central Asia as being important. Each of the states has implemented assertive secular policies, closely regulating religion, controlling who can open a mosque, regulating access to religious literature, censoring religious websites. Through these policies, the governments place the state above religion; the state has the right to control religious knowledge and religious practice, but religion cannot influence the state. For example, in Tajikistan, there have been cases where the police have forcibly shaved men’s beards. Unfortunately, these kind of restrictive policies are counter-productive; extremists use them to legitimize their campaign against the government. In their propaganda, militants ask why Central Asians live under such authoritarian regimes where Islam is suppressed and encourage their citizens to come to “paradise” of the caliphate. But push factors alone do not account for why Central Asians have joined extremist groups. Many join for the sense of adventure, for the idea of brotherhood and finding a place in society and for the idea of building a new kind of system in Syria and Iraq, a place for true Muslims to live. Before they are recruited, many of those who join these groups are already isolated from society; the vast majority of Central Asian fighters are recruited when they are working as migrant labourers in Russia. They face poor wages, an uncertain legal status, corruption, extortion and occasionally attack. This makes it easier for jihadist recruiters to convince them to fight in the Middle East. So to summarise, I think there are important push and pull factors in Central Asia. Each person’s path to Syria and Iraq is different. I do not think we can generalise about one overarching driver as they vary from case to case. A.M.: The current economic crisis in the post-soviet countries influences the status-quo; on top of that there are no prospects for returning labour migrants (e.g. from Russia) to their respective countries. Do you think that rising economic problems will contribute to the process of radicalization or is it more of a political and religion issue? E.L.: I think, that radicalisation is primarily a political and a religious issue. I think all the factors do play a role. From my research on fighters from Tajikistan, I think it is clear the 80 or 90 per cent of those who travelling to Syria or Iraq come from Russia. They spent a considerable amount of time in Russia working as labour migrants and it seems, from the evidence, that most recruitment is taking place in Russia itself and people who are very far away from their community, very far away their friendship structures, from their families are more susceptible to recruitment. Although the governments of Central Asia say that most fighters join for economic gain, there is little available evidence to support this. But this does not mean it does not play a role in some cases. If you are working in a building site in Russia and as a result of the economic crisis the money that you are earning to send home reduces by half, then if someone comes along and says you can come and work as a driver in Syria and earn good money, you may be tempted. In general, I think we haven’t seen a large increase in the number of Central Asian fighters going to Syria and Iraq since late 2014, when the Russian economic crisis began. This indicates that the economic side of radicalisation seems to be less significant than its religious and political dimensions. A.M.: Do you think that local NGOs and international organizations can play a positive role in preventing radicalization, especially among youth, in Central Asia? E.L.: In 2010, I was at a conference in Dushanbe (Tajikistan) focusing on youth radicalization, preventing the recruitment of young people to extremist groups. Someone stood up and said why are we treating this issue in such negative terms and why is this project framed as countering youth extremism and not instilling youth with hope for the future. I think there are ways in which we can improve the lives of young people in Central Asia, while supporting the government of each country. Civil society can support young people find income generating activities, give people skills so that they can use them to gain employment, help people become more involved in their community, and give them a role in the political process in order to avoid alienation. I think that as well as benefitting development more generally; ultimately these things can help make extremist ideas less appealing. I do understand that for many NGOs putting “extremism” or “counter-extremism” into the title of a project is a good way to raise funds. But framing the issue as such gives the project a more negative spin. Ideally it is about countering something, rather than producing something. I think we can successfully counter recruitment through more indirect means for example, like focusing on civil society engagement. A.M.: What should the governments in the region do to improve the current situation? E.L.: It is a very difficult question. I think the current policy of regulating religion gives people a limited opportunity to gain access to the religious knowledge that could steer them away from extremism. Extremists have used these authoritarian policies as a recruitment tool. I think there is a need to kind of open up the space for informal leaders, for other voices, and thereby allowing moderate religious voices to emerge. There is obviously more macro level need for greater political space for the opposition and for religion. Granting freedom of speech to citizens would give people an opportunity to discuss societal trends openly and play a greater role in fixing them. Eventually this would make the kind of extremist messaging less appealing. But none of these changes are going to happen overnight. Ultimately, change will only take place with the support of the people and the governments. Thus far, I have been quite negative about state–led counter-extremism in Central Asia. That said, I think there are some positives in terms of counter-extremism in the region. For example, in Tajikistan, they have taken fighters who return from Iraq and Syria and sent them out to give talks to young people about the real situation going on in these countries. I think that policy of counter-messaging based on experience is more effective than repressive secular policies. It is also far more engaging. A.M.: Concerning the recent terrorist attacks in Istanbul (June), in Brussels (March) and in Paris (November 2015) would you argue that we are in need for more shared cooperation between the EU, Turkey and Central Asia in order to effectively tackle the radicalization phenomenon? E.L.: Yes, I think there is. Turkey has become a transit state for those travelling to fight. Most Central Asians are recruited in Russia, and then travel to Istanbul and cross the border into Syria. A number of Central Asians have been intercepted by the Turkish authorities and prevented from travelling to Syria and Iraq. There is also evidence to suggest that Central Asians are being trained in mosques in Turkey. And the June attack in Istanbul indicates that these fighters are being deployed outside of Syria and Iraq. The three attackers were from Russia, Uzbekistan and Kyrgyzstan. Many of the 44 others who were arrested by the Turkish authorities as part of their investigation were from Central Asia. There is a need for the EU, along with the other external actors, to try and work with Turkey and Central Asia to improve their capacity to intercept these people and prevent them from perpetrating these atrocities. I think it is certainly becoming an increasingly common interest for all of the different governments. At the same time, counter-extremism needs to be conducted in accordance with human rights and international law. In a number of cases, the Central Asia’s secret services have travelled to Turkey to kidnap and assassinate political opponents who they label “extremists.” Last year, Tajik opposition leader Umarali Quvvatov was gunned down in Istanbul. In 2014, the Uzbek intelligence services killed Imam Abdullah Bukhari, a preacher in Istanbul. The EU needs to put pressure on the Turkish and Central Asian security services to respect human rights and the rule of law.